Xi Jinping and Shinzo Abe held a meeting on the sidelines of the Asia Africa Summit in Jakarta, Indonesia. Japanese Prime Minister Shinzo Abe and Chinese President Xi Jinping held a bilateral meeting on the sidelines of the Asian African Summit in Jakarta, Indonesia. The meeting is the first between the two leaders since they met on of the sidelines of last year’s Asia-Pacific Economic Cooperation leader’s summit in Beijing, and the fourth meeting overall, including brief encounters in September and October 2013. The very first meeting between Abe and Xi was a brief encounter on September 6, 2013 at the G20 conference in St. Petersburg. This was followed by a brief handshake on October 7, 2013 at the 2013 APEC Summit in Bali, Indonesia. China later accused the Japanese media of overplaying the significance of the Bali meeting, stating that the gesture was “meaningless.” Over a year passed and the two leaders met again in early November 2014 with a much-publicized awkward handshake, again at the APEC Summit. That meeting was made possible by months of behind-the-scenes diplomacy, spearheaded by a Japanese side desperate for improved ties with China. 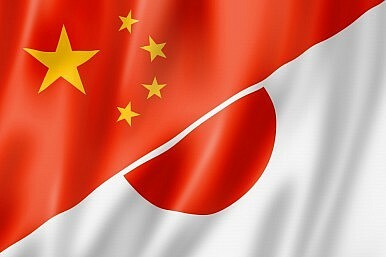 Following the release of a “four-point consensus” document following talks between China’s State Council Yang Jiechi and Japan’s National Security Secretariat Chief Shotaro Yachi, the meeting became possible. Abe and Xi endorsed the consensus in their talks on the sidelines of that meeting. Wednesday’s meeting in Jakarta also comes ahead of various international events commemorating the 70th anniversary of the end of the Second World War. Given the salience of historical issues in Japan’s relations with its Northeast Asian neighbors—certainly China—Xi will be watching Abe’s speeches and statements to confirm Japan’s repentance for its wartime atrocities. Abe has said he will uphold Japan’s previous apologies in his speech before U.S. Congress next week, and in August, to mark the 70th anniversary of Japan’s surrender. It is notable that Xi’s decision to go ahead with the planned meeting with Abe in Jakarta – despite the Japanese prime minister so recently drawing headlines and criticism for sending a gift to Yasukuni Shrine – suggests a degree of pragmatism from the Chinese side. It could be the case that Abe’s gesture, while worthy of protest, did not merit an outright snub in Jakarta. Should Abe have visited the shrine, as he did in December 2013, it is likely that the meeting would not have occurred at all. The context of the meeting was additionally softened by Abe’s remarks at the Asia Africa Conference in Japan, in which he expressed “deep remorse” for Japan’s wartime actions. Will Northeast Asia's 2015 Be Overshadowed by War History?The Art of the Balance: Japan, China and the United StatesTokyo to Host 7th China-South Korea-Japan Trilateral SummitSouth Korea’s Real Fight Is With China, Not JapanWill an Abe-Xi Meeting Happen on the Sidelines of the 2016 G20 Summit?